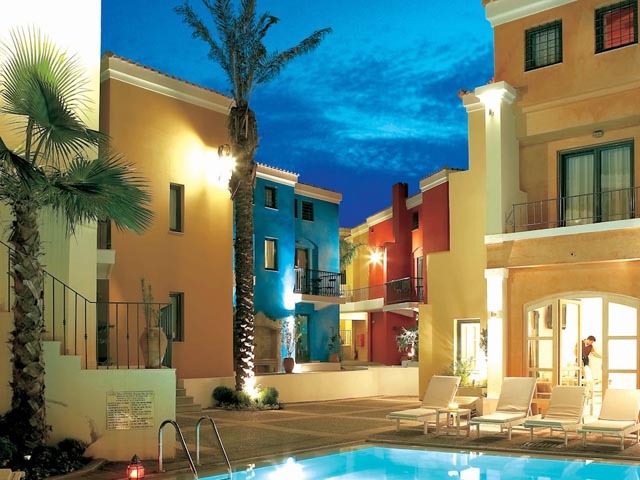 Aquila Porto Rethymno features 3 freshwater pools, a private beach and 2 restaurants. 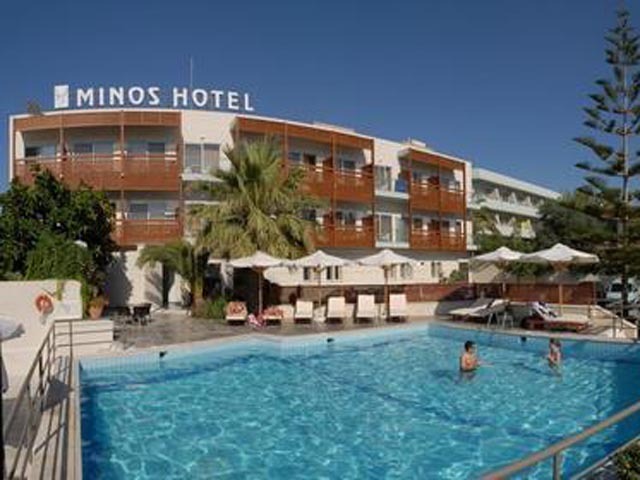 The hotel complex offers various sports and leisure activities, including massage and yoga classes.Aquilas rooms have floor-to-ceiling windows, earthy colors and a balcony overlooking the Cretan Sea and the city. Each unit includes air conditioning, satellite TV and a minibar. The luxurious bathroom has bathrobes, slippers and a hairdryer. 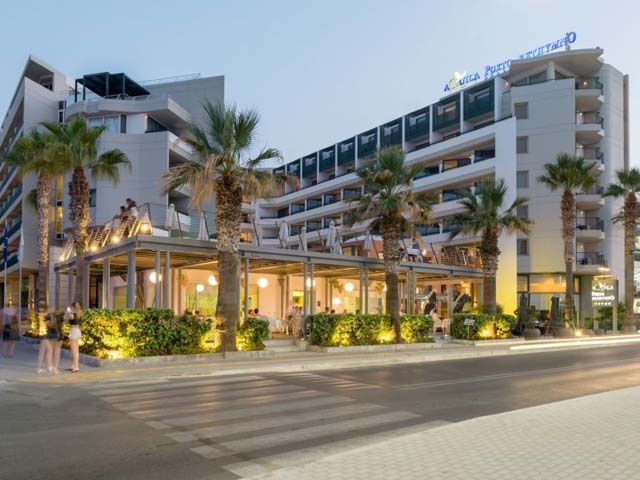 Aquila Porto Rethymno is 600 meters away. from the port of Rethymnon and 61 km. from the international airport of Chania. Heraklion International Airport is 84 km away. and the city and port of Heraklion 80 km. All our Double Rooms have wonderful furnishings combined with exceptional comfort, luxury and warmth. Our Deluxe Double Rooms are large in size, luxury and comfort. 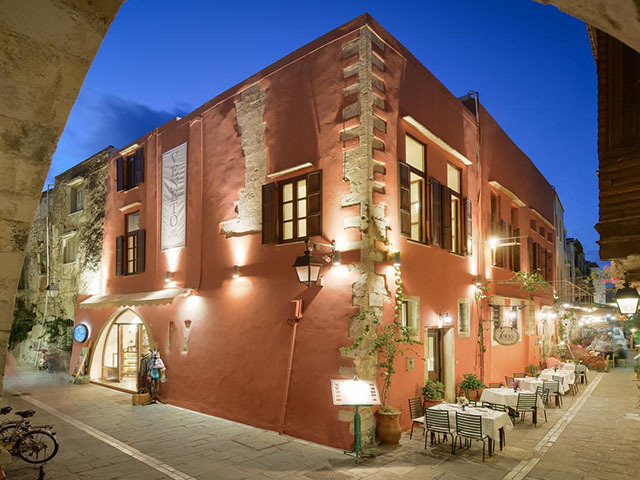 Everything exudes supremacy in these rooms: the luxurious bathrooms of Greek marble, the Jacuzzi on the balcony and the endless view to the picturesque harbor of Rethymno. This exquisite suite offers unique comfort and features a balcony with luxury furniture and direct sea views. 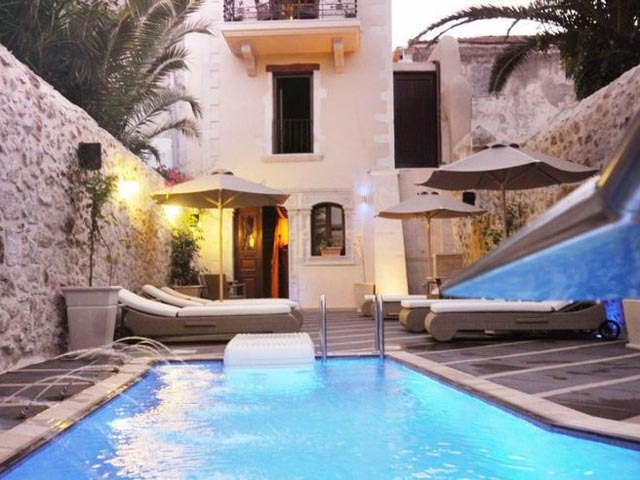 The Penthouse Suite is an elegant luxury and comfort. A suite with high design furniture, a marble bathroom with many amenities and a balcony facing the sea for ultimate enjoyment. Buffet options: starters, soups, salads, main dishes, variety of cheeses, desserts.